In a Nutshell: Merchant Maverick reviews an assortment of products that businesses need including merchant accounts and business software. Amad Ebrahimi founded this site in 2009 after searching in vain for a decent merchant account provider, discovering the need for a resource that details the features, rates, contracts, transparency, and overall customer friendliness of top companies in the industry. Now Merchant Maverick’s in-depth reviews cover hundreds of companies in 20 categories, offering charts that compare the pricing, ease of use, customer service, and other pertinent details of a company. Thus armed with accurate information, merchants can choose providers and services more easily. Amad Ebrahimi is a problem solver. With a background in online marketing and ecommerce, he’s all about using the web to come up with valuable solutions. Years ago, he came up with the idea for a travel website — not realizing how arduous a task it would be just to get his business off the ground. He and his business partner ran into a dilemma when trying to obtain a merchant account. Search as hard as they might, the duo found only deceptive rates and sleazy salesmen. 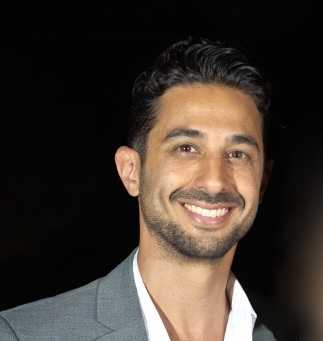 Amad Ebrahimi founded Merchant Maverick in 2009 to help business owners. Frustrated, they ended up not finding a provider at all and eventually scrapping the whole venture. Even in defeat, Ebrahimi saw an opportunity: He could help other businesses get through this process more painlessly. To counter the merchant industry’s dishonest marketing and misinformation, he created a reviews site that today is filled with hundreds of product assessments. In 2009, Ebrahimi created a review site for merchant accounts and credit card processing. It wasn’t long before Merchant Maverick began branching out to cover companies in a number of other verticals. Today the website covers 20 different areas. Now, the site’s visitors can delve into topics such as inventory software, website builder software, and mobile payments. A resource of hundreds of reviews, Merchant Maverick boasts helping well over 1 million business owners. From merchant accounts, Merchant Maverick has expanded its content to research booking software, inventory software, and loyalty rewards software. Recently, Ebrahimi said the website added two more verticals to its stable of expert review topics — money transfer and business credit cards. He said in the past two years, the amount of traffic to Merchant Maverick has doubled. Ebrahimi chalked this impressive boost to greatly expanding what was once an 18-person team of writers and editors. With a personable tone and in layman’s terms, Merchant Maverick reviews dissect a product for merchants. While putting out a steady flow of content is key, Ebrahimi makes sure writers for Merchant Maverick have enough time to conduct the in-depth research necessary to produce a high-quality review. Ebrahimi said that he encourages his team to engross themselves in their assignments. This can include using a free trial, comparing prices, and speaking with the company itself. Such a thorough investigation leads to higher quality reviews that are detailed and informative reads. Ebrahimi’s team does its homework and rigorously probes each company. They put every relevant detail under a microscope and then deliver a “Final Verdict” in easy-to-understand terms. With an engaging tone, the writers highlight a company’s rates and services so that business owners know what they’re getting. Ebrahimi said the company has also been ramping up its public relations efforts to help get the word out about the website, which has also contributed to its increased readership. Educating business owners is a primary goal of Merchant Maverick. The website offers reliable data to inform readers about the best and worst practices of a company. After going through all this content, a person will hopefully come away with a full understanding of what to expect. Educated and informed merchants are much less likely to be fooled by dishonest sales tactics. Merchant Maverick’s Founder pointed out four aspects of a vendor’s business model that are important to scrutinize before signing a contract. First and foremost, Ebrahimi told us that transparent practices are critical. “From years and years of researching different credit card processors, what I’ve learned is the ones that have the least to hide are the most reputable,” he said. In his experience, the company’s transparency is translatable to how that company is going to work with and serve the customer. It’s shorthand for a credit card processor’s priorities: Is it important to make the merchant happy — or not? Look for providers that are upfront about the fees. All rates should be clearly explained on the website. If the provider is any good, they’ll want to educate the customer to make an informed decision. Interchange-plus pricing gets the most praise from Merchant Maverick. Transparent and fair, this pricing model works by adding a flat margin on top of Interchange. Because the margin is constant, smaller merchants are not penalized for processing smaller amounts. This equitable system encourages merchants to price items fairly. An early termination fee can be exceptionally crippling, Ebrahimi explained, because businesses don’t plan on terminating early but sometimes have to due to unforeseen circumstances. If you have to declare bankruptcy, for instance, paying an early termination fee to cancel your contract can be financially demoralizing. He emphasizes avoiding “bogus fees” and not getting locked into paying a fee for no services. He lists the gratuitous fees that can get tacked on unnecessarily: early termination fees, annual fees, application fees, and monthly minimum fees. These added costs pile up on small business owners but do not bring any extra benefits. Customer support is often overlooked when searching for a credit card process, but it’s a nice touch. An entire section of Merchant Maverick’s company review is based on how the team handles its customers. The reviewer will touch on how responsive the phone and email support is. Those with faster technical support get higher ratings. For any business that needs some extra handholding when picking out a provider, Merchant Maverick has a consulting service available online. A customer support rep answers specific questions and makes recommendations based on the customer’s needs. This is a free service — no consulting fees required. To get knowledgeable advice on which merchant account provider is best or which inventory software will fit your business, send a message through a simple online form. Any and all questions are welcome. In addition to its comprehensive reviews, Merchant Maverick offers help as consultants and negotiators. Going a step farther, Merchant Maverick also offers help in negotiating a fair rate. After looking at your statements, an experienced rep will judge whether your rates and fees are fair. The team is well-accustomed to analyzing and comparing rates and can quickly give you an idea of what’s reasonable to expect from a vendor. Should your rates be deemed too high, these experts will get to work on your behalf, negotiating with your processor for a better deal. You’ll only be charged for this negotiation service if they are successful is reducing your fees. You’ll pay 50% of the savings for a period of 24 months. After that, the savings are yours. With helpful services, this review site steps up its game to provide easy solutions for merchants trying to choose the best products and get the best rates. By building a comprehensive resource for merchants, Ebrahimi has helped over 1 million businesses avoid the frustrations he endured trying to find a reputable service. With reviews and comparisons, Merchant Maverick clearly explains what a merchant account provider, small business lender, and software provider has to offer. This team has tested out hundreds of products so that you don’t have to. After reading through these assessments, people come away with a complete understanding of what rates and services to expect.